Restrictive diets are commonplace in today’s health-conscious world. They may be self-imposed due to ethical beliefs, such as is the case with many vegans and vegetarians, or they may be forced upon you due to medical conditions, allergies or intolerances. However, while the vast majority of these diets are adequately catered to, with support organisations, medical assistance and expert advice readily available for those in the latter group in particular, not all dietary quirks are viewed with the same sincerity; such is the case with Selective Eating Disorder (SED), also known as Avoidant/Restrictive Food Intake Disorder (ARFID), which is often simply attributed to ‘picky eating’. However, those affected argue that there is a clear and distinct difference between SED and picky eating, even if UK support groups and organisations such as the National Centre for Eating Disorders don’t deem it to be a valid condition. Over in the US, SED was recognised as a category of eating disorder by the American Psychiatric Association in 2013, being acknowledged in the fifth edition of the Diagnostic and Statistical Manual of Mental Disorders (DSM-5). The UK still has a very different opinion. Countering her stance is Felix Economakis, a chartered psychologist and clinical hypnotist specialising in the fast and effective treatment of anxiety disorders. Felix was introduced to the somewhat bizarre disorder during an appearance on a British documentary series, and has since treated hundreds of patients with an actual fear of certain foods. He says that the disorder presents more like a phobia than other recognised eating disorders, which often stem from body image issues. During a recent appearance on Global News Edmonton, Felix spoke of how he has worked with individuals that “lived off one food, often just two or three”, which can have a substantial negative effect on both their health and their daily interactions. Although the disorder typically presents during childhood and is rarer among adults, for older patients it can be a severe problem as many social and business interactions take place over a meal. A desire to cover up the disorder often leads to other anxiety-related issues in such circumstances. One SED/ARFID sufferer who has massively benefitted from Felix’ guidance and support is Zach Bell, who actually appeared alongside Felix on Global News to raise awareness of the issue. At one point, Zach’s food intake was restricted to ‘beige’, an aversion he carried with him since he was a baby. He is adamant that his condition deserves to be taken more seriously by both medical professionals and the world at large. “It’s not picky eating at all. It’s an actual phobia, and it can actually affect your life,” Zach told Global News. 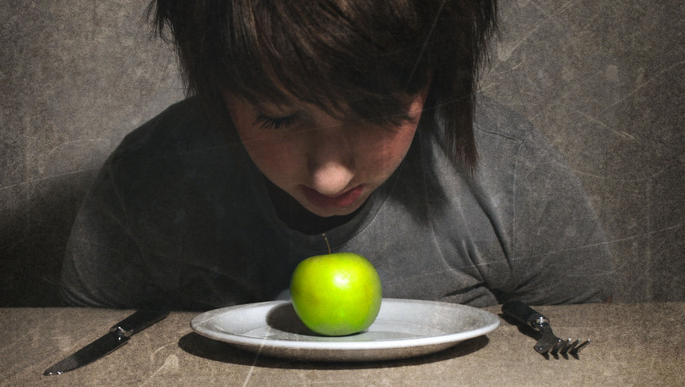 Sensory Processing – Often, the texture or feel of a certain food in the mouth is enough to put some people off for life. “Some textures might feel too crispy, or too wet, or too fuzzy, or whatever the case may be,” says Felix. I find this cause to be the most relatable; I personally struggle to eat some foods such as mushy peas for no reason other than the texture. It just feels wrong! Family Dynamics – Children like routine and familiarity. When this is suddenly compromised, for example by the divorce of parents or by moving country, they may try to compensate for this by exerting extra control over the areas of their life which they are able to, such as food. Left unchecked, this can easily develop into SED.